From martial arts, to weight and cardio training, group fitness classes and professional personal training. ToppPerformance will provide you with the tools and training you need to become the best possible you. Come join us, and achieve Topp Performance! Our professional personal trainers will help you achieve your fitness goals, regardless of whether you're just starting out and want to train right, or you've been training for years and need help getting past your current plateau. It's a proven fact that people who participate in group training are far more likely to reach and maintain their fitness goals. From martial arts, to strength and endurance training, we have the class you need to achieve your goals. Whether your interest is KickBoxing or Brazilian Jiu-Jitsu, our black belt instructors can take you from zero to hero. Gain confidence, improve balance and coordination, increase cardio-vascular fitness, and above all, learn to defend yourself. A mix of weight, body weight and cardio training like nothing else, CrossFit pushes your body to the limit and beyond. You will be tired. You will hurt. You will cry for your mommy! You will also become a fitness god or goddess, look fantastic and feel bulletproof! We offer training in Brazilian Jiu-Jitsu and KickBoxing. Whether you're wanting to learn in order to increase your self-confidence with the knowledge that you can defend yourself or perhaps even enter competition, or you're simply wanting to improve your overall fitness and take on a new challenge, we have the black belt instructors to get you there. Whatever your goals or experience level, we have the trainers to help get you from where you are now to where you want to be. Whether you're just starting out, and need help learning how to train safely and effectively, or you've been training for years but have hit a plateau, our professional trainers have the knowledge and experience help you reach your goal. Studies have shown that people who participate in group training are more likely to achieve and maintain their fitness goals. With group classes for adults and youth, classes in martial arts and overall strength and conditioning, our instructors will motivate you in an energy-driven group environment that will drive you to not only achieve, but excel. A great personal trainer can not only make the difference between success and failure, but also motivate you to push yourself beyond what you thought was possible. If you don't live near a gym, or just can't find a trainer you like, we can train you remotely with our customized training program and advanced training app. We'll help you to achieve and exceed your goals! A 5 Star Rating on Google Reviews! I have spent time in gyms from BC to Quebec and everywhere in between. Not one has even came close to Topp Performance. This is the type of gym where you set goals with the staff and they do whatever they can to help you smash those goals and more. No matter what type of fitness or martial arts training you are looking for they something for you. Make no mistake this is the type of place where you are family from the moment you walk in. The environment is welcoming and warm. The customers and staff all have a great attitude and mindset towards each other. If you just want to get in a bit better shape or if you want to be the next champion at anything you do. this is the ONLY place to be! 100% recommend Topp Performance to anyone and everyone! I have been doing the strength and conditioning classes for 6 weeks now and have seen the best progress and results in myself mentally and physically then I have with any other gym, it’s absolutely amazing! The coaches are so helpful and inspiring when you want to reach your goals! My son also does the youth jui jitsu classes and has loved them since day 1! He is the youngest in the group and the coaches are so kind and caring when helping out the little ones in the group! So go sign up, you won’t regret it! Can’t say enough about Topp Performance and the staff and coaches. From day one almost a year ago where Kylie joined in a free kids group two weeks late to then turn around and started Jiu Jitsu the next day. Coach Jesse and coach Sara have welcomed us in and made us feel like family from day one. Coach Dan and coach Lindsey are amazing with the kids. Always pushing and challenging them. Always putting their safety first. When Kylie did her first competition coach Dan and coach Jesse went even though they didn’t compete just to coach on the sidelines and be there for support. The respect that is shown on and off the mats between the coaches and students is amazing. They work together as a team as a family. Thanks you for everything you all do for the kids and adults. The kids sure look up to you all. It has that community vibe to it. Very positive environment where the coaches enable me to succeed and there are friendly faces in class I look forward to working out with. Craig's wife SUE. I started at Topp performance in June 2018, with a nudge from our daughter in law. I joined up for the beach body transformation, and a 28 day diet plan, I was one of those people that said, I'm going to eat what I want, when I want, after 28 days, this changed Next was cross fit. I had seen others in the gym doing this, and thought 'no way' I tried it, and love it. TOPP PERFORMANCE has definitely changed my life. From 2 days a week, to 4/5 days a week I can't say enough about this gym. The coaches are the best, they really care. .It's really a family oriented atmosphere. Very passionate about this gym. Keep up the great work TOPP PERFORMANCE Highly recommend this gym. My wife and I have been going here for 6 months now and we're each down 30 lbs from where we started. The gym owners and patrons are encouraging and supportive at every step of the way. This is the type of gym where you set goals with the staff and they do whatever they can to help you smash those goals and more. No matter what type of fitness or martial arts training you are looking for they something for you. Make no mistake this is the type of place where you are family from the moment you walk in. The environment is welcoming and warm. The customers and staff all have a great attitude and mindset towards each other. If you just want to get in a bit better shape or if you want to be the next champion at anything you do. this is the ONLY place to be! Excellent instruction. Professor Jesse is very knowledgeable in Brazilian Jiu-Jitsu. The atmosphere at the gym is very welcoming and energetic. We celebrated our daughters Birthday at Topp Performance today, and everyone had so much fun! We would recommend this as a must do for anyone, there was plenty of room for 15 11/12 year olds to have an awesome nerf war and play several games of dodge ball. The gym and party room were well stocked with everything you need to throw a successful party. The staff was fantastic and very helpful...couldn't have hoped for a better day! 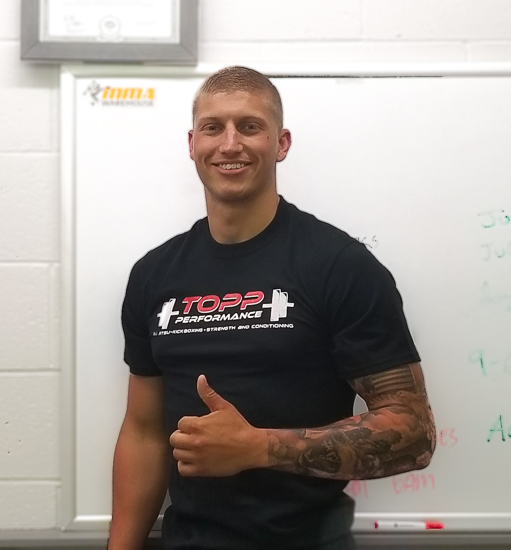 Jesse and the Topp Performance family are incredibly friendly and accommodating for all fitness levels. I am a beginner at fitness and I have no problem keeping up in the classes I've been attending, even at 6 months postpartum. I am definitely going to make this glad I have added their classes to my week! 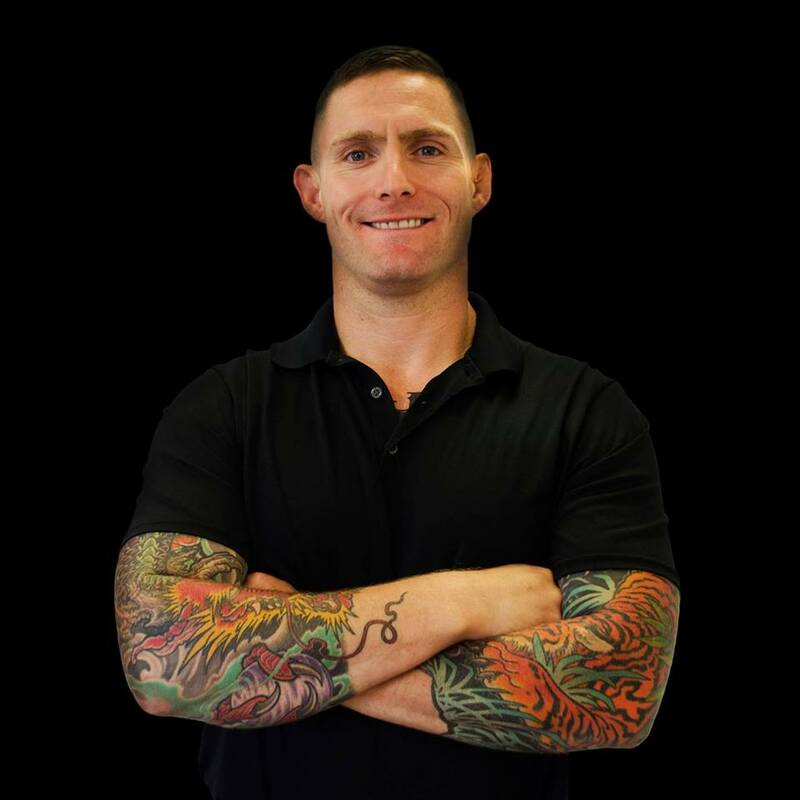 Founded by Jesse Topp, at Topp Performance CrossFit, Fitness and Martial Arts we focus on effective and practical fitness and martial arts training. You won't find any yoga classes here. Just training that works. From CrossFit to Brazilian Jiu-Jitsu and KickBoxing, weight training, cardio training, group fitness classes for adults and youth, and professional personal training from trainers who have been there and done that. Whatever your training and fitness goals, you'll find a philosophy here of mutual respect combined with a determination to help you be the best you possible. There’s no question that CrossFit will get you into the best shape of your life, but as with all forms of training there’s a right and wrong way to go about it. At Topp Performance, we’re proud to have Cole Learn as our head CrossFit Coach. In addition to being a lifelong fitness enthusiast with experience in many forms of training, Cole has won multiple CF competitions. His certifications include CrossFit Level 1, CrossFit Level 2 and Certified Personal Trainer. Whether you’re just starting out or wanting to take your game to the next level, Cole and his team have the experience to get you to your goals. Come in and tour our newly renovated facilities, meet Cole, and see for yourself how we can help you to achieve Topp Performance! Topp Performance updated their profile picture. The Summer Camp of the season is going to be a BLAST!! We have activities planned every day for the athletes here at Topp Performance. It's an obstacle course race for athletes, we have a great week planned. Early Bird pricing ends in 13 days, click the link below to sign up today. Working on our stance, grips and bear hug defense with the Ogoshi Judo Technique as a finisher. Is your child prepared if they get bullied or someone holds there hands down to there side with a bear hug? Make a splash this summer at Topp Performance's exclusive WATER FUN summer camp August 19th to 23rd! Early bird pricing will only be available until May 1st so don't hesitate, sign up now before the price increases. To join, you can simply drop in to our gym anytime during business hours, but if you'd prefer to set an appointment time, just fill in the form below and we'll get back to you. Please let us know the best time of day to contact you. Check all that apply. We'll do our best to get back to you at a time convenient for you. If you've trained before, please let us know for how long. Please note that all memberships are non-refundable and non-transferable. © 2019 Topp Performance CrossFit, Fitness and Martial Arts. All Rights Reserved.